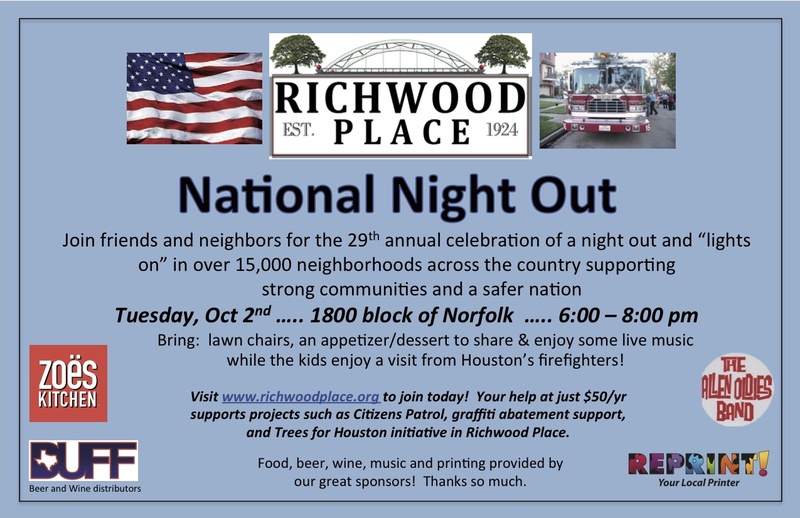 Join us for NNO in Richwood Place this Tuesday! Over the last decade, METRO spent $71 million of your dollars to build a rail line. But the agency recently took that project off the table for at least another decade and no work has been done. The next General meeting is Tuesday, September 11 at 7pm at Zoe’s kitchen. Please plan to join us. We’ll have updates on neighborhood happenings and details to share re NNO in October.